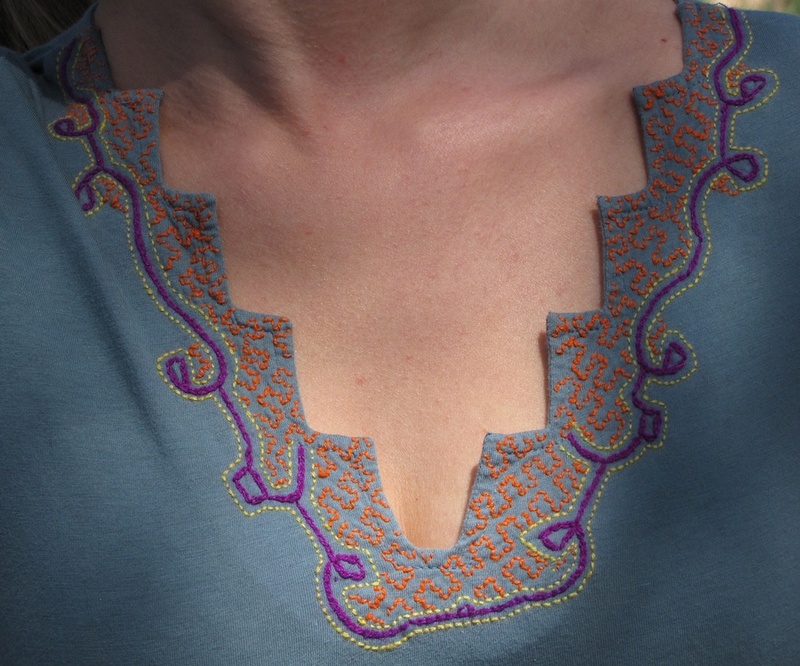 FEATURES: Decorative patterns at the neck and hemline are authentic representations of Shamans&apos; medicine songs, hand stitched by women of the Shipibo tribe in Peru. 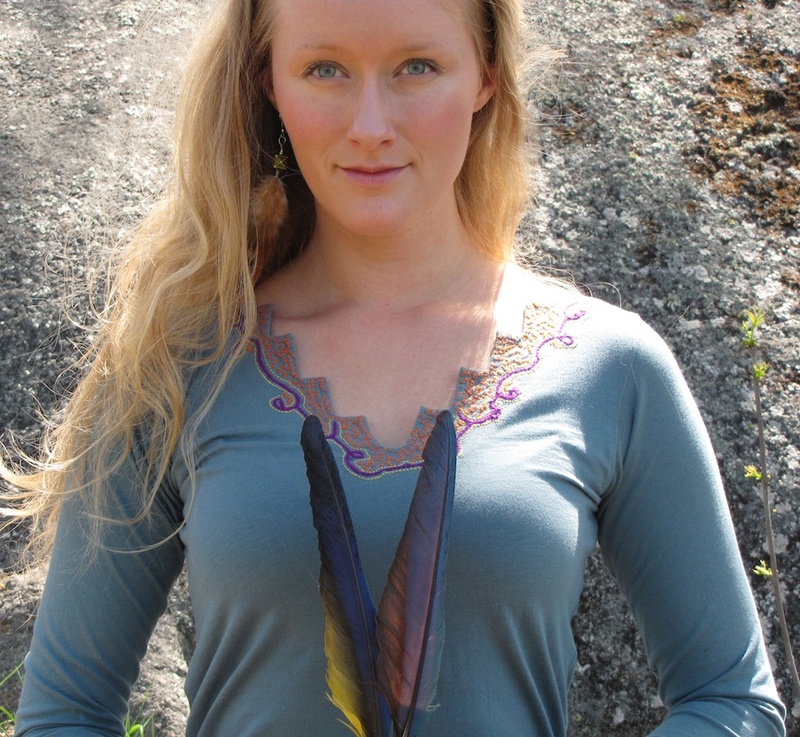 Sacred healing energies, good looks and comfort- all in one simple dress. Aum jungle LOVE !